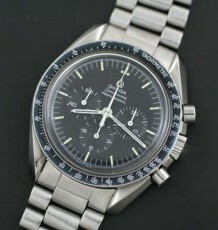 Re-edition of thge famed Omega PloProf from the 1970's. Using modern components like the Coaxial movement and a sapphire crystal. 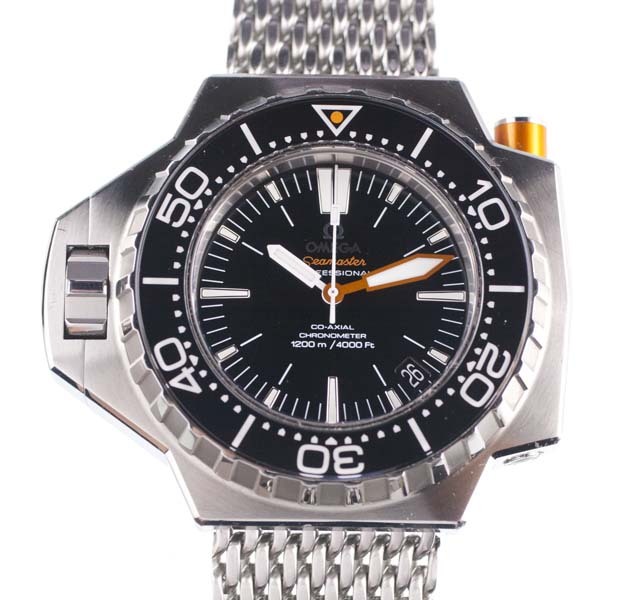 A lightly used Omega PloProf dive watch that was re-issued in the spirit of the original 1970’s model which was designed by Jacques Cousteau for use by COMEX. The re-make features a case that is clearly a homage to the original, a design that was clearly intended for function over form. The vintage model was cutting edge at the time of introduction but the new model addresses the evolution of watch technology. The new model features a sapphire crystal with anti-reflective coating instead of the mineral glass of the older model. 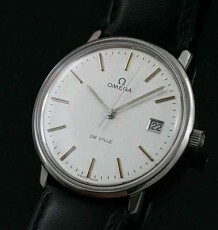 Both watches use automatic movements but the latest model uses an Omega calibre 8500 coaxial automatic unit. The watch is roughly the same length and width as the original but is a good deal thicker. The extra fine condition of this watch is evident in the photos. It comes with all the materials delivered as new and is running perfectly. It is fitted to a sized original Omega mesh bracelet although it comes with the 3 extra links. The package also includes 2 Omega rubber straps, one orange and the other black. The orange one has already been sized for a 7.6 inch wrist. 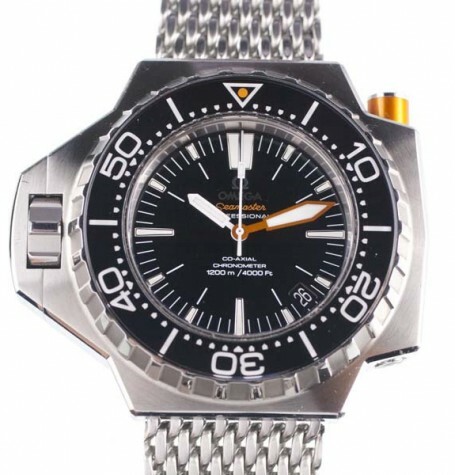 The watch was purchased in 2010 at the Omega Olympic boutique at the Fairmont Hotel in Vancouver. 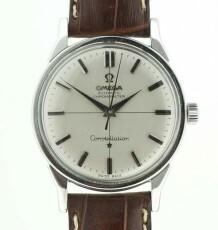 A great opportunity to pick up a thoroughly modern rendition of a vintage classic that has dominating wrist presence.